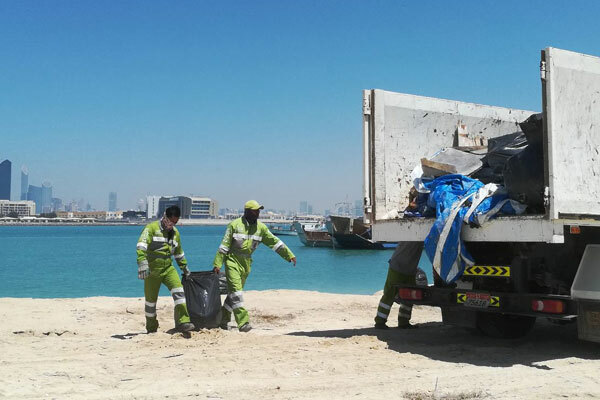 Abu Dhabi Waste Management Center (Tadweer) said it has joined hands with Al Dhafra Region Municipality to launch a two-month campaign from next month to educate the public on the best ways to preserve the urban environment. The ‘Al Dhafra Deserves’ campaign is being launched in collaboration with Abu Dhabi Food Control Authority and Abu Dhabi Farmers Services Centre. Seeking to educate the public about the best ways to curb undesirable habits and practices that disturb the aesthetics of the general landscape, the Al Dhafra Deserves campaign will run throughout the months of August and September. A key highlight of the awareness drive will be workshops on effective waste disposal besides a joint inspection by both Tadweer and municipal authorities to ensure the aesthetic appeal of the landscape is maintained. Al Dhafra Municipality will also coordinate with Tadweer to educate store owners about need to ensure public hygiene and monitor any disruptions to the landscape at construction sites and across residential areas. For their part, Abu Dhabi Farmers Services Centre and Abu Dhabi Food Control Authority will introduce farm owners to best-in-class waste management practices. Dr Salem Khalfan Al Kaabi, the acting general manager, Tadweer, said: "This campaign to preserve the natural appeal and aesthetic value of our environment is aligned with our wider strategy to increase awareness about policies that protect the environment and public health." "We seek through this campaign to create a safe and healthy environment in Al Dhafra Region in cooperation with our partners and to eliminate any wrongful practices in terms of handling waste as well as overcoming the adverse effects of such practices," he stated. Dr Al Kaabi pointed out that some of the most flagrant examples of wrong waste management practices that need to be eradicated include disposing of waste outside dedicated bins, random trashing of farm and construction waste, as well as ad hoc disposal of furniture, electronic waste, and carcasses of dead animals.